GOLDEN RETRIEVER PUPPIES. Due to be born in SUMMER 2019. We are a family owned GOLDEN RETRIEVER kennel in southeastern Wisconsin, raising healthy AKC/OFA golden retrievers to bring joy and long life to your family. 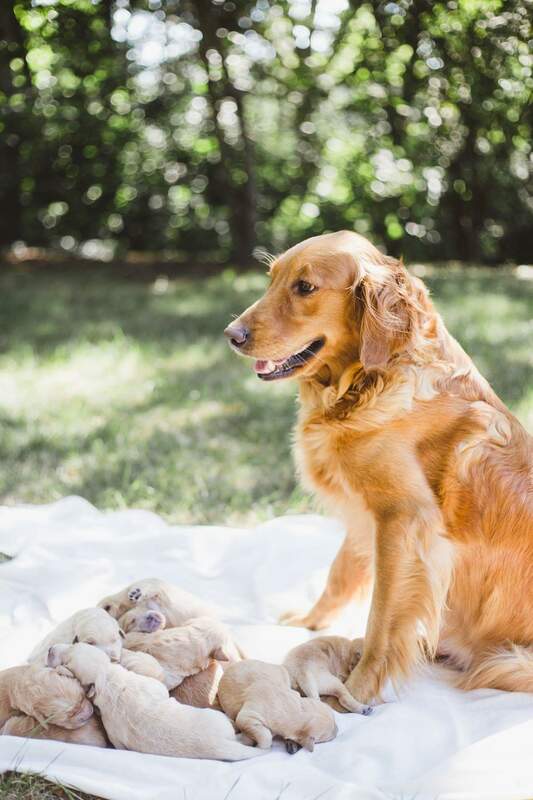 We raise our puppies in our welcoming home, with grandchildren and our other golden retriever pets to help socialize and cuddle during the first weeks of their life. Our older son is our veterinarian (Joshua Stewart, DVM, Wales Animal Clinic, Wales, WI) and gives us his personal care and attention from before they are born to the day they arrive in your arms. Joshua removes their dew claws, gives them their first worming and meds, checks their health and sends them to you strong and happy. Our Sire, Eisenhower (IKE) has his AKC and OFA certifications. Miss Maudie has her AKC and OFA hip and elbow certification and her eye certification. 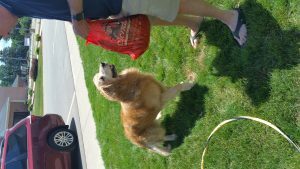 We are members of the GOLDEN RETRIEVER CLUB and adhere to their standards. 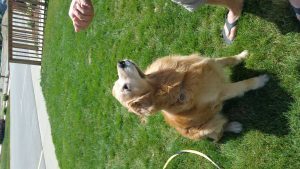 Contact Diane, 262 893 0869, to hear about our next litter, MISS MAUDIE’s pups, due SUMMER, 2019. And now we welcome CALPURNIA to our breeding program. As her Mom retires, she will have her first litter in the fall/winter. Her sire, Aslan, also lives in Michigan and is a friend of Maudie’s sire Ike. Watch for announcements in the fall! 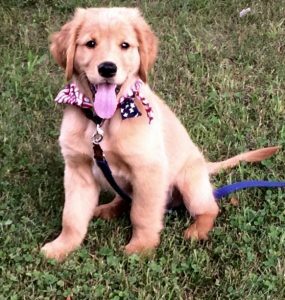 You can make a deposit for your GOLDEN RETRIEVER puppy. Let us know if you would like a girl or a boy. We require $250 as a downpayment and the balance due in cash on the day of pick up. The total cost for each puppy is $1,400.00. 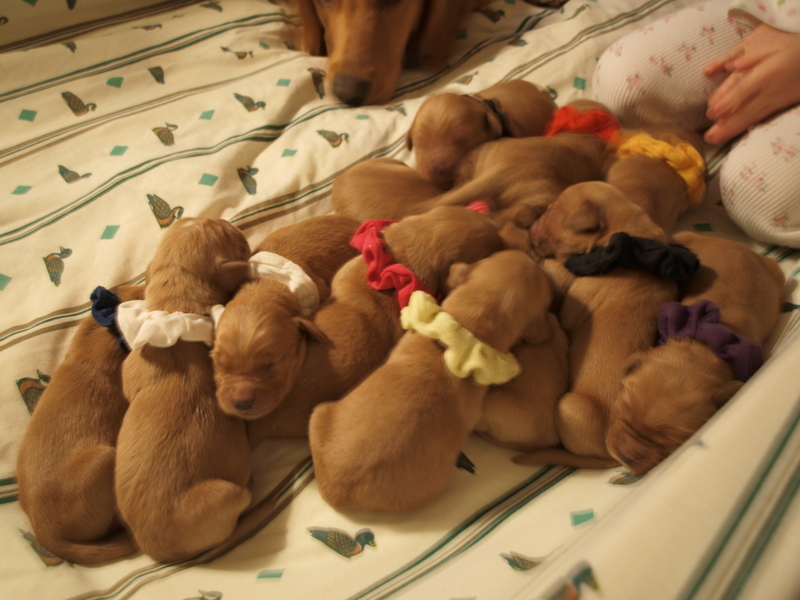 We promise pups in the order that we receive deposits and then in the order that your preferred gender is born! 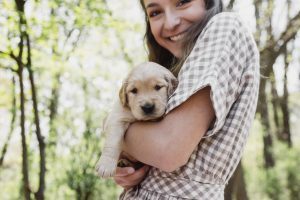 We will keep in close touch with you from the time that we receive your deposit until you take your puppy home. We require meeting you in person to confirm to us that you will be welcoming your puppy into a happy family setting.